There are large tables set out and comfortable padded chairs. It has a small kitchen and facilities for making and serving teas and coffees. 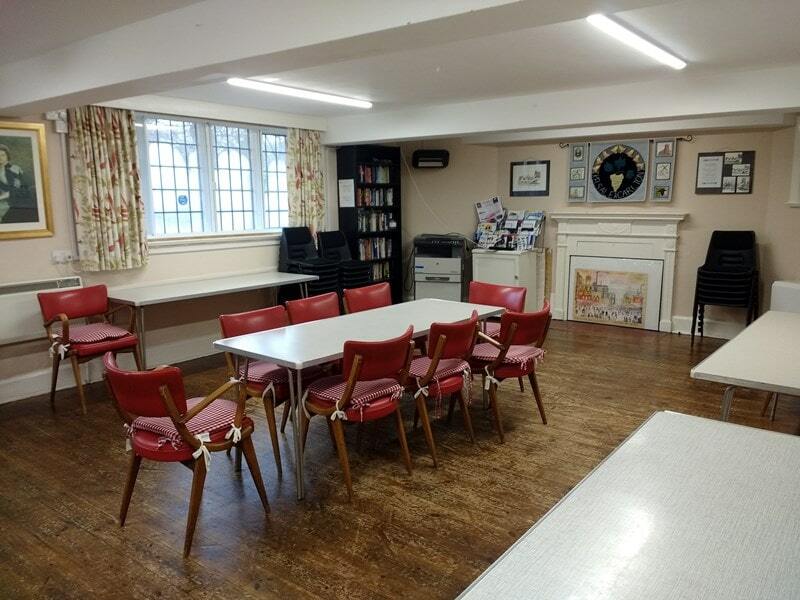 A Counter service operates on Wednesdays from 9.00-12.00 in the Committee Room of the village hall. A full range of products and services are available, including stationery items, Special issue stamps, Pensions, Moneygrams, Fishing Licences, Foreign Currencies to name a few. Anything you can get in a large Post Office you can do here. From 10-11am every Wednesday when the Post Office is open there is a Coffee Club where you can relax and chat with friends over a cup of coffee with all profits going to a variety of charities. The Coffee Club also runs at the same time on a Friday morning. In addition the Village Hall Management Committee offer a photocopying service during the coffee club times. Copies are charged at 5p each. To help raise funds for restoration works to the Hall a 100 Club has been launched. Currently you pay £12.00 for a year’s entry into the draw, payable in advance, in January. This gives you a number which is entered in the draw every month for 12 months for cash prizes. The draw is made on the last Friday of the month at 10.30am during the morning coffee club. Prizewinners names and numbers are published on notice boards inside and outside the village hall. 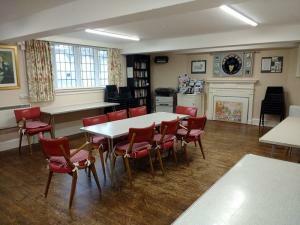 The committee room downstairs is cosier and suitable for smaller groups of up to 30 people for meetings or events. To find our hire rates please go to the website www.kelsalevillagehall.co.uk, and any enquiries should be referred to kelsalevillagehall@gmail.com.